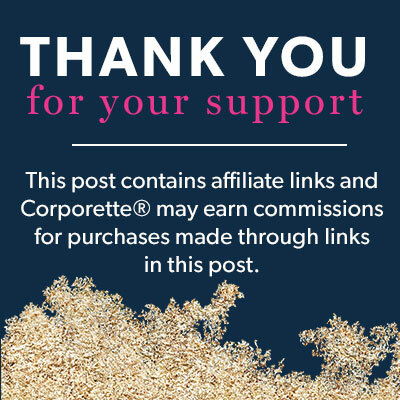 I’ve tried a LOT of companies because for a while I kept buying Groupons. Don’t do that. Here’s why: a) they’re never THAT great of a deal, and they almost all expire at a certain point, which always feels like it’s just a bit too soon, and then your “hobby” is no fun because you’re rushing through things and feel obligated to get it done. (This is why we have a different photobook for months 0-3, then 3-6, then 6-9, then 9-12 from my first son’s first year.) A second reason for not doing it: there’s a learning curve, and every company has its pros and cons. The third reason: if you’re building a library of digital photo books it’s nice to have them all the same size. I almost always go through Shutterfly now, but I’ve used Mixbook, MPix, Blurb, MyPublisher (now closed), Snapfish, and Vistaprint (though just for digital photo calendars). I always get a 12×12 book these days (and never flat lay, although they offer that option). For Shutterfly, the big con is that it’s expensive — but for the pros I find it easy and fun, and some of the things I want to do (like being able to customize layouts, having different elements “snap” into place or easily align, adding/editing lots of text, etc.). On the flipside, Snapfish and Vistaprint are very affordable — but the products I’ve bought from there don’t hold up super well (like some of the colors seem to fade over the years, and so forth). So I mostly use those for calendars and stick with Shutterfly instead for the digital photo books. These days I mostly strive to make one “family yearbook” for our family for each year — I include photos, quotes, artwork, scanned docs like report cards, and sometimes even screencaps of text messages and things if there are funny exchanges. I’m a bit crazy in that I add a lot of text to the photobooks — stories about the kids, notes on things like who weaned when, etc — which makes it a bit difficult to edit at the very end — but I enjoy doing them. (To edit the text I end up copying and pasting all of the longer paragraphs into Microsoft Word or even just a simple text document, printing them out, and editing them all at once — it’s not publishing house quality, of course, but I catch a ton of annoying things like tenses, point of view, etc, so at least I don’t say “Mommy and J decided to go to the water park!” on one page and then “I love to watch J go to down the slides!” on the next page.) I say I “strive” for one yearbook a year because we have up to 2014 done, we’re missing 2015 and 2016, and then at the beginning of this year I cranked out most of 2017 after I had reviewed all of our 2017 photos for calendar photo projects — I’m going to do that going forward. 2017 is about 90% done — I haven’t had it printed yet because I’m waiting for photos from family members (one family member has a fancy DSLR camera and always takes beautiful shots, but takes a while to “process” them and give them to me), but I figured I could add what I wanted/needed to throughout the book. The first trick to getting started with digital photo books is, of course, to organize your photos. As I noted over on CorporetteMoms, I tend to do this kind of thing while watching television — I have a 2018 folder (with one folder for each month) and a folder called Favs (with one folder for each month). I used to try to organize photos with a folder for each outing (Trip to the Museum!) but having too many folders ends up being annoying. I also used to try to weed out all the horrible pictures I’ll never look at again (whether it’s an accidental shot of my foot or an unflattering picture of someone mid-bite) but it ends up being more work to delete them. So I have basically an “ALL” folder for, say, June 2018, and a “favorites” folder for June 2018 — if there’s a great picture of us it’s in both of those folders. When I start to make my digital photo book for the project I just upload the entire folder (June 2018 Fav) up to Shutterfly in a separate album and then start arranging them. A note: if you’re really just getting started with digital photo books, Shutterfly has something called “Make My Book” where, for like $10 more, they’ll make a book for you with photos you provide. I tried this for one of the years that was in the backlog (2013 wasn’t done until 2017, ha) and found I preferred to slog through my own creation rather than edit someone else’s — but it’s a great option if you just want to get something to look through. Choose the biggest photo book size you think you’ll want — I once made commemorated a trip to Paris in an 8×8 photo book and regretted it later. It’s also easiest to choose a theme you like at the beginning, although you can change it later. One big choice to make at the start is whether you want your book to lay flat or not because cropping for pages will be different if you want a regular spine than if you want one that will open and lay flat. I’ve personally never had a book lay flat. If you’re just getting started with digital photo books but hope to do many in the future, make sure you put a title on the spine of the book. I didn’t (or put silly titles, like “Baby Jack!! !”) and it’s less helpful if you’re looking for one particular book or another. Note that almost every company has sales of at least 50% off regularly — I tend to make projects and keep them in draft until I see a great sale to inspire me to buy. Guestbook for your wedding or gathering (pictured at top) – this is one of my most cherished items, honestly. I found a bunch of old pictures of my husband and myself, scanned them, color corrected them, and put them on opposite pages (his & hers) with a lot of white space. There weren’t too many pages, and they were all roughly grouped by years (baby pictures / cute little kid / dorky preteen / defiant teenager / graduate / adult). Our guests loved the book, and I love that there are so many beautiful words from our loved ones (some of whom have since departed, like my grandmother). I had that book made at MPix on a textured, crisp paper with the hope that it would hold the ink better… some of the pictures were less saturated or rich than they might have been on a photo paper, but considering I was working with old photos anyway I have no regrets. 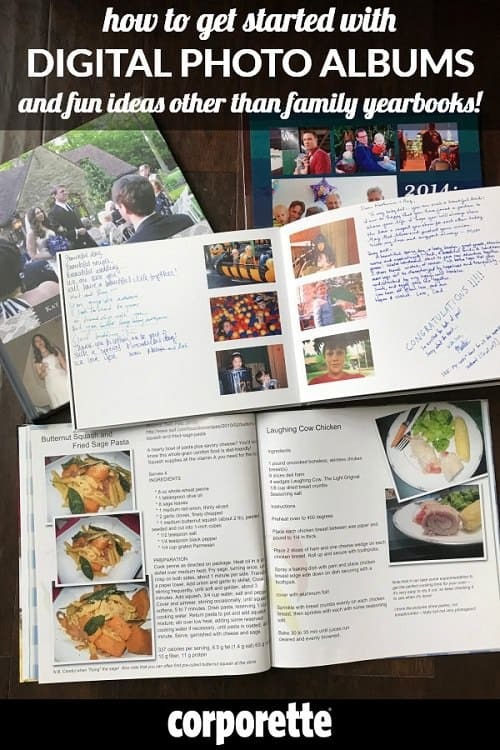 Personal cookbook (pictured at top)- My husband and I experimented a lot with recipes when we were first married, and although it felt wildly indulgent at the time I decided to make a cookbook around Year 3 of our marriage; I gave copies to my mother and MIL as well. 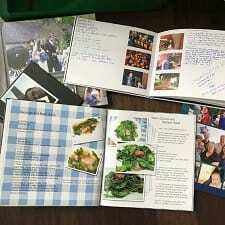 There were pictures of our regularly cooked recipes… a few choice pictures of some of our disastrous attempts… and a listing at the back of all the stuff we regularly ate (whether pictured/recipe’d or not) and a listing of all of our disastrous attempts. It’s so funny to look back on now because we’re solidly in less adventurous years mostly due to the kids being picky and us being exhausted (aka the “FINE, child, you can have French bread pizza for dinner… again…” years) but I really appreciate the book now. We flip through it if we need an idea of “hey we haven’t made this in a while!” and just to remember the good times from the honeymoon years. I made this one at MyPublisher, I think. This would also be a lovely way to remember a grandmother or other person in your life who had a ton of great recipes. Wedding details – This isn’t that different an idea, but I’ll note it as well — I made a “details” album for my wedding in addition to the “official” photo album. We got the fancy photographer’s fancy photos and I have a large, thick, fancy, photographer-quality book with those photos in them — but we had so many great pictures that were taken by friends and family that I did a “wedding details” book. I put pictures from our dating life, our “how we met” story that we had written up for our wedding website, pictures from all of my adventures in trying on wedding gowns, as well as pictures from my showers, the rehearsal dinner, the wedding after-party, the day-after brunch… friends’ pictures from the wedding, pictures from the lousy disposable table cameras… I included the menu from the wedding and pictures of the food, the music playlist… for our honeymoon we just went to Aruba and decompressed on the beach so there weren’t a TON of photos, but I included those few in the album as well. I think I treasure that album more than I do the “official” wedding album and photos that we paid multiple thousands of dollars for. Canvas prints. We got four pictures from our wedding printed on 16×16 canvases and have them hung above our bed. You can get a bit artistic with filters and textures and so forth if you have a great image from a trip, also. Calendars. Every December I go bonkers trying to make a personalized calendar for the year. I end up using PicMonkey (which does have a free option, although I have a paid subscription for blog-related reasons) to make huge square collages for each month on the theory that if I see a great last minute deal somewhere I can just upload the square collages as a single picture for calendars — but I almost always just make them at Snapfish, where they regularly have a “3 for $19.99” sale that blows every other calendar deal out of the water. I give them to my parents, my in-laws, my brother… this is the first year my 6 year old is using his own calendar and it’s really cute to see him cross off the days. Blankets/cards/ornaments/mugs/t-shirts/tote bags. You’d be amazed at what products you can turn photos into these days — Shutterfly’s “Gifts” and “Home Decor” section includes Ceramic coasters, pot holders, bottle openers, shot glasses, trivets, engraved jewelry, iPhone cases, pillows, mounted wall art, plates, glassware, candles, table runners, catch-all trays, and more. Readers, have you gotten started making digital photo books and other projects? Do you count scrapbooking or digital photo book-making among your hobbies? Which are your favorite places to get digital photo books made — and why? If you travel often, do you do a travel-related photo album per trip or per year? If you’ve got pets you adore, how often do you do a photo album of them? I use Chatbooks for the laziest of options. It just prints straight from my Instagram when I hit 60 photos without any effort from me. I like to bring the most recent ones with me when we visit older relatives to show them what we’ve been up to. I have also done a Shutterfly photo calendar the last two years of pictures of my kids for grandparents. The interface is pretty nice and easy to use. Rosa uses this when she wants print copies of all the kid’s pictures. She has THOUSANDS of pictures on her ipad and Iphone, and this gives her an opportunity to create books for Grandma Trudy and Leyeh. They think the kids are great, and eat them up (literally). I hope I have kid’s soon so that they will know there grandmothers, as there is not alot of time for me or them! FOOEY! I am a LOVER of Becky Higgins Project Life App. I can make pages on my phone, from the pictures on my phone, as I go, right then. I can add journaling and cute scrapbook-y cards. You can print straight from the app to a book, but that is more expensive than other options. I printed my last book with Shutterfly. You just upload the completed pages as large photos and use a simple book. It looks great, still feels a little like an older style of scrapbook, and was fun. If you used to be a cute-paper- nontoxic glue- embellishments scrapbooker, before you got busy, this might be a good option!